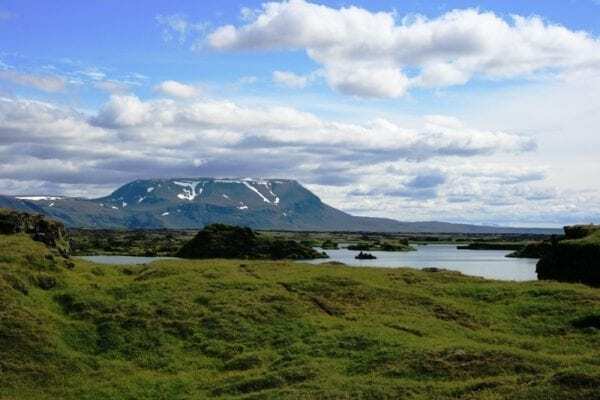 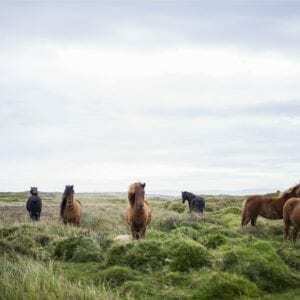 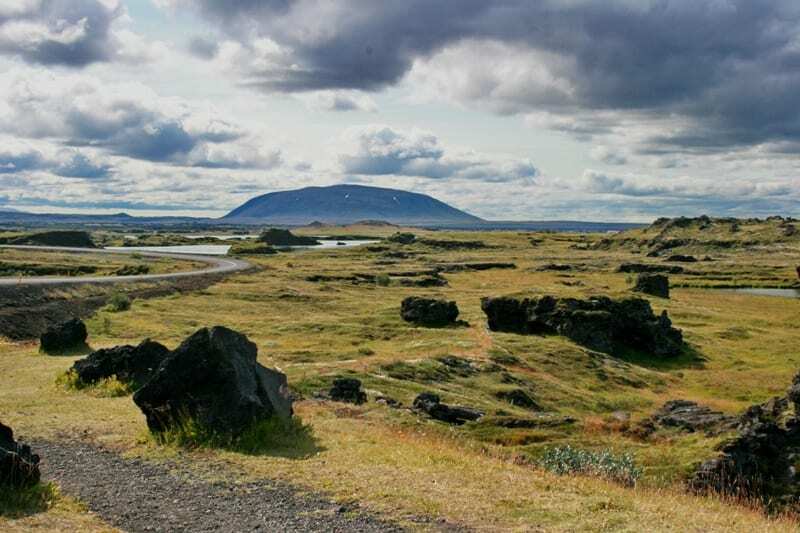 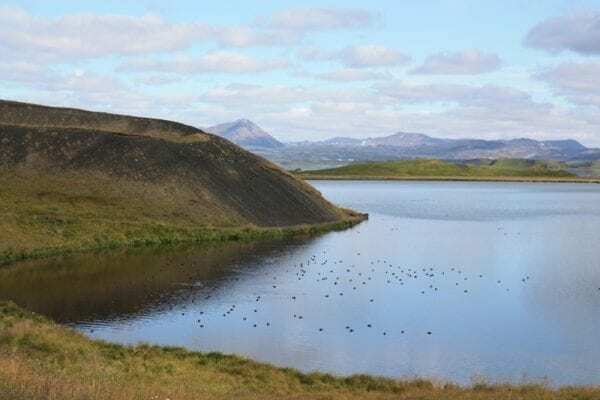 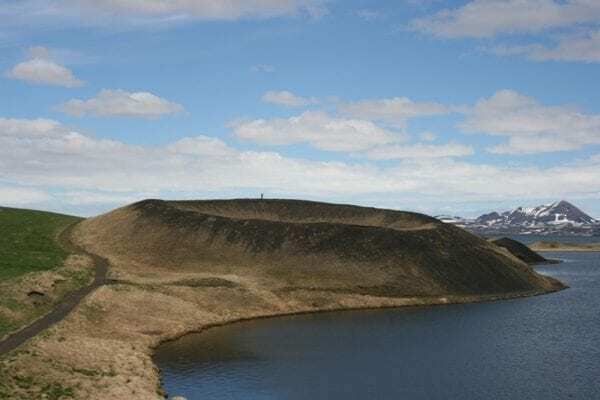 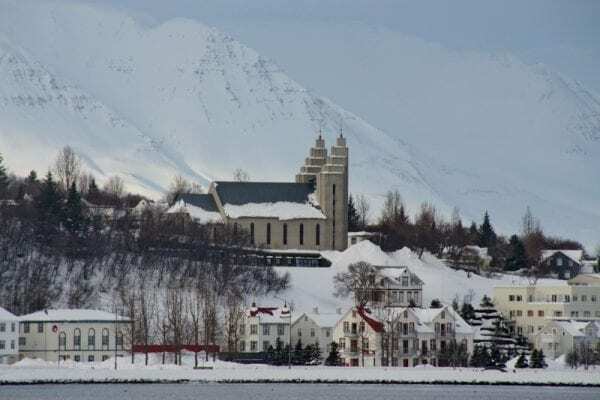 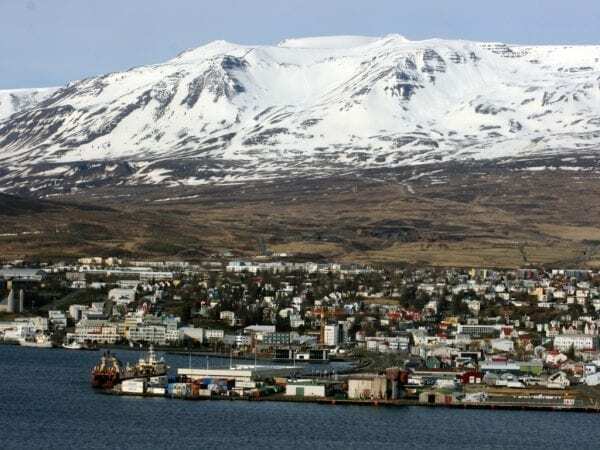 Fly from Reykjavík to Akureyri for a day tour to Lake Mývatn and the gems of North Iceland. Take a flight to the North of Iceland and discover the fantastic nature surrounding of one of the longest fjords in Iceland. 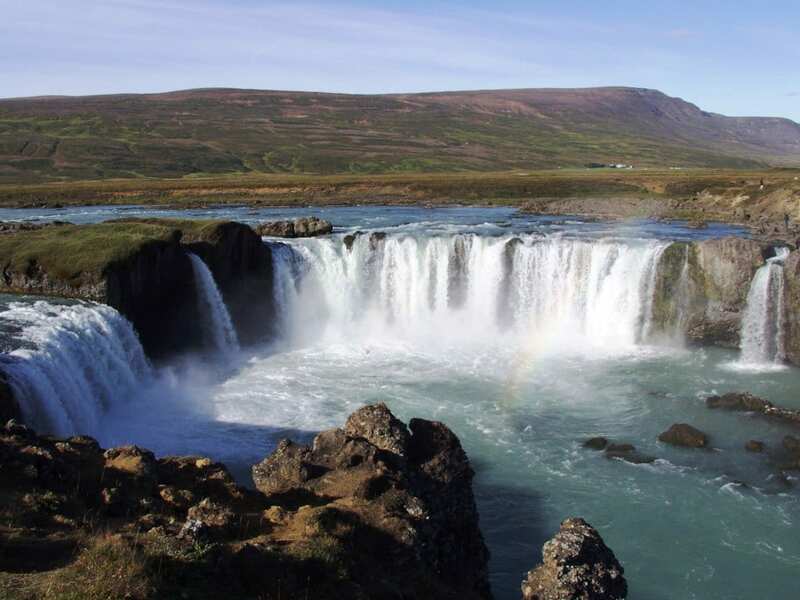 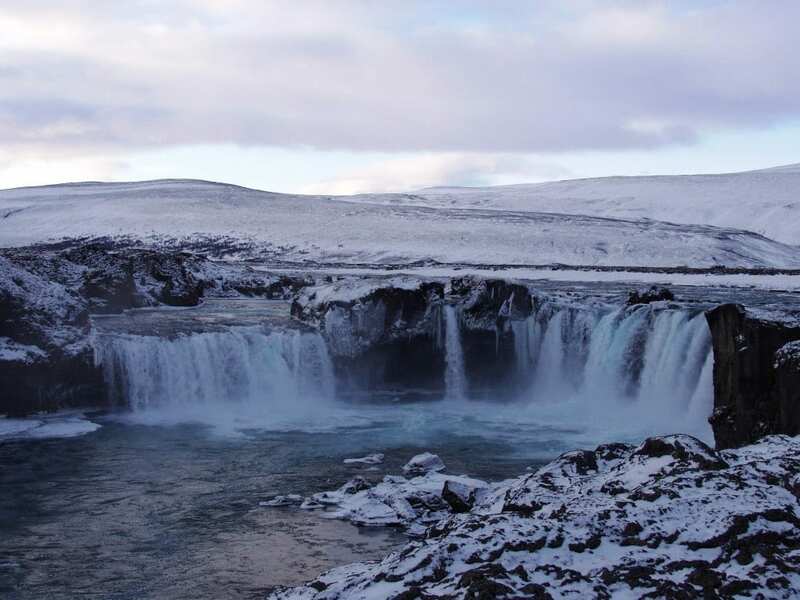 You will visit the stunning waterfall of Goðafoss and the colourful and varied volcanic area of Lake Mývatn. 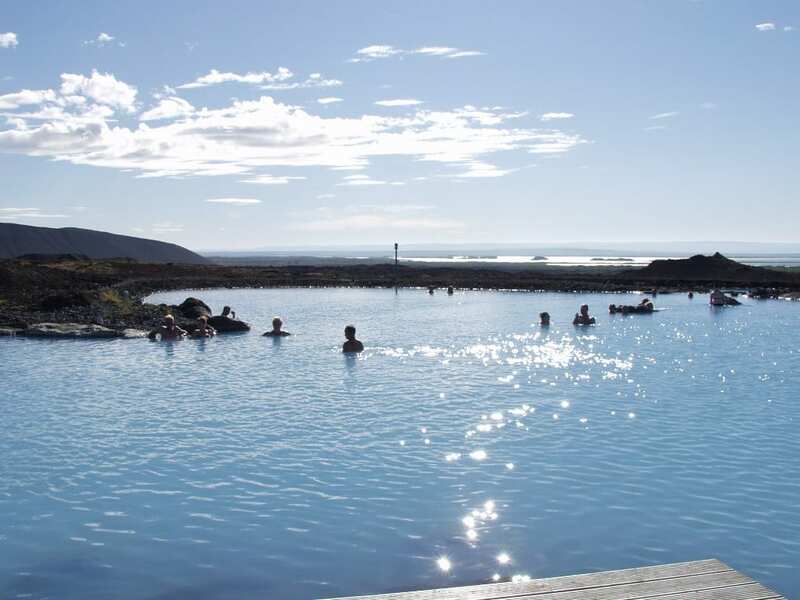 If you would like you can also take a bath in the geothermally warm Mývatn Nature Baths. 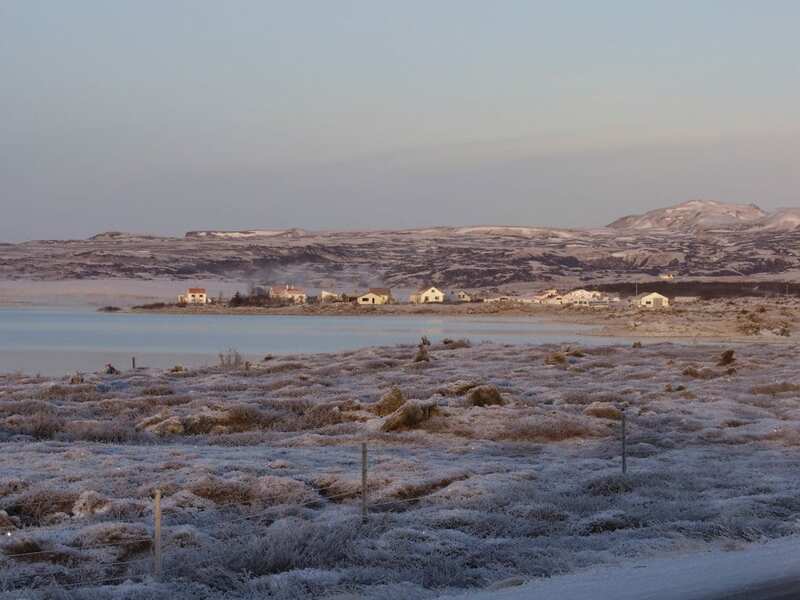 Early morning departure from the domestic airport of Reykjavík and after a 45-minute flight we will arrive at the airport of Akureyri. 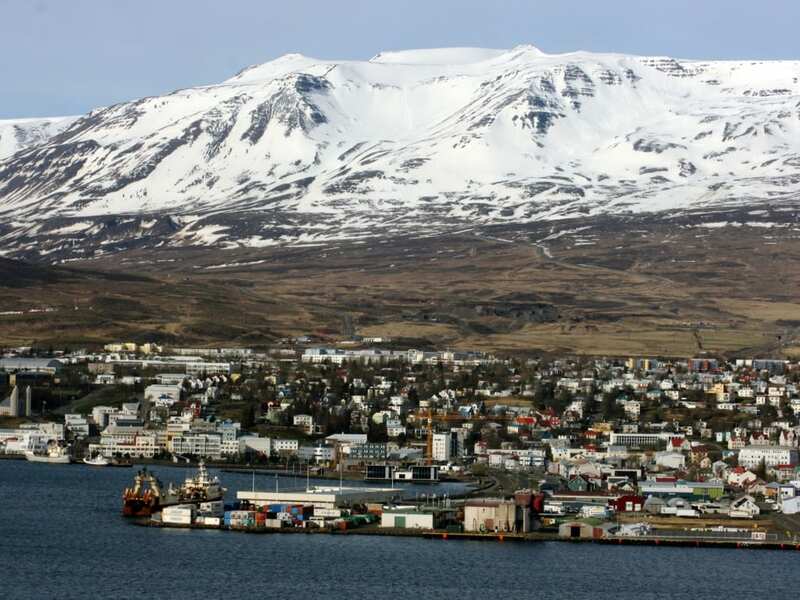 We begin by driving along the East coast of Eyjafjördur which offers a panoramic view of Akureyri. We cross the Víkurskard-pass and drive along the valleys of Fnjóskadalur and Ljósavatnsskarð. We make a half hour stop at the waterfall of Goðafoss, known not only for its beauty but also as the scene of historical events from the saga times. 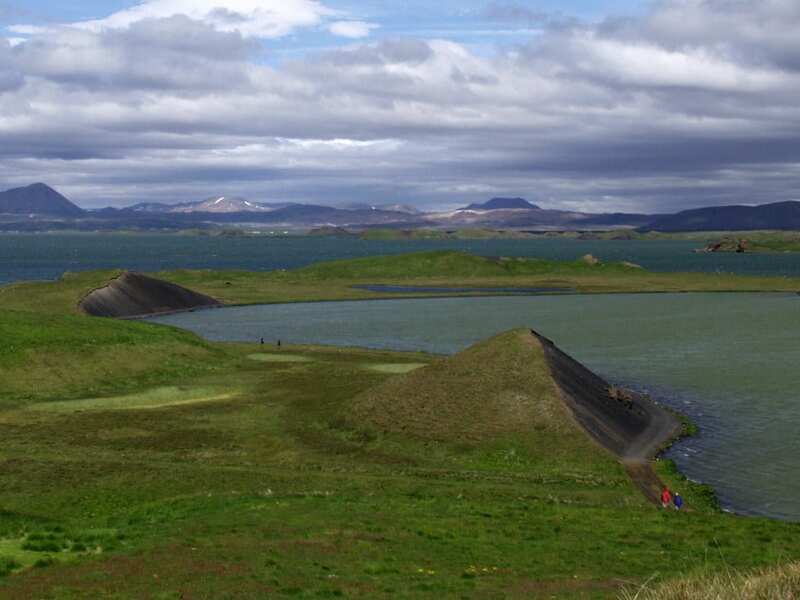 By noon we arrive at Lake Mývatn, famous for its combination of natural beauty and unique ecology. We begin by driving to the farm of Skútustaðir, named after a saga hero. Today, this place, however, is better known for its unusually regular pseudocraters which are among the best known in the world. 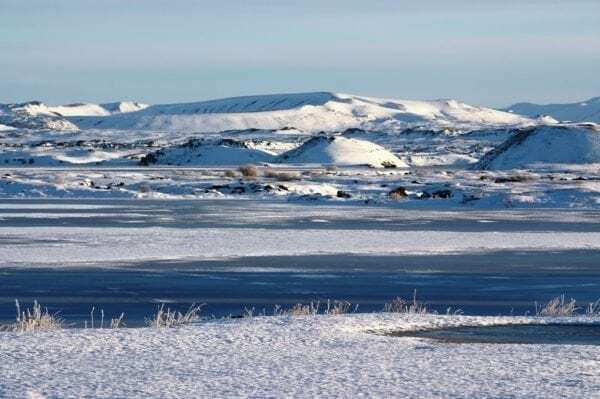 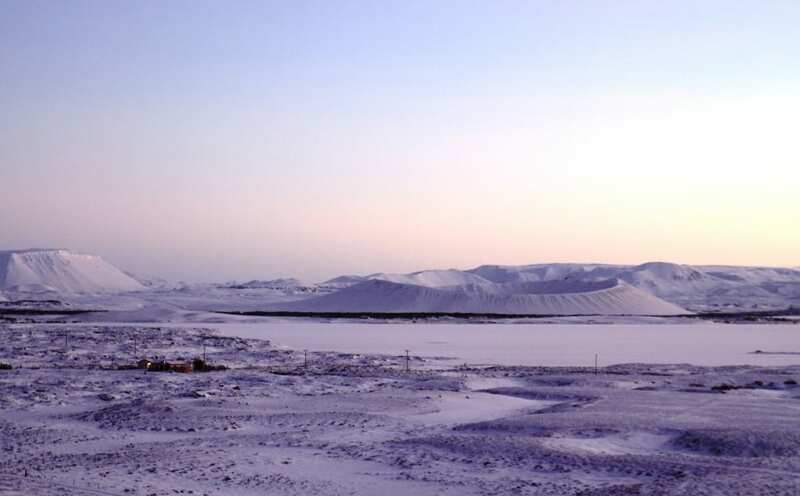 From here there is a good view of Lake Mývatn and, in clear weather, of some of the mountains in the central highlands. 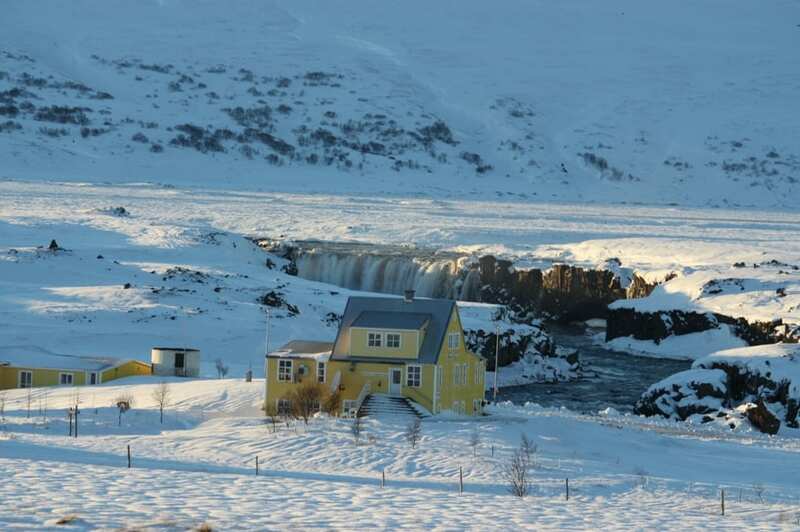 Here we make a midday break with the possibility of buying lunch at the restaurant. 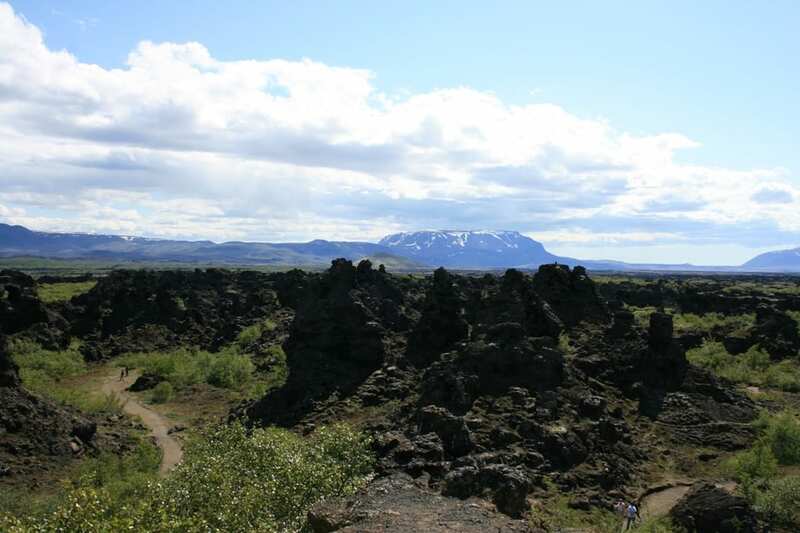 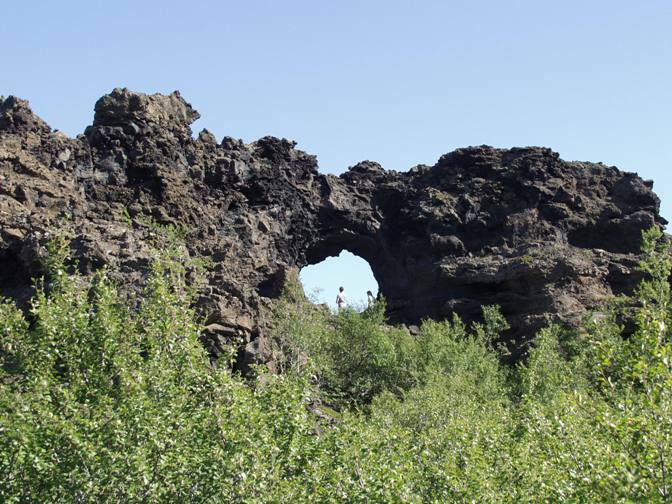 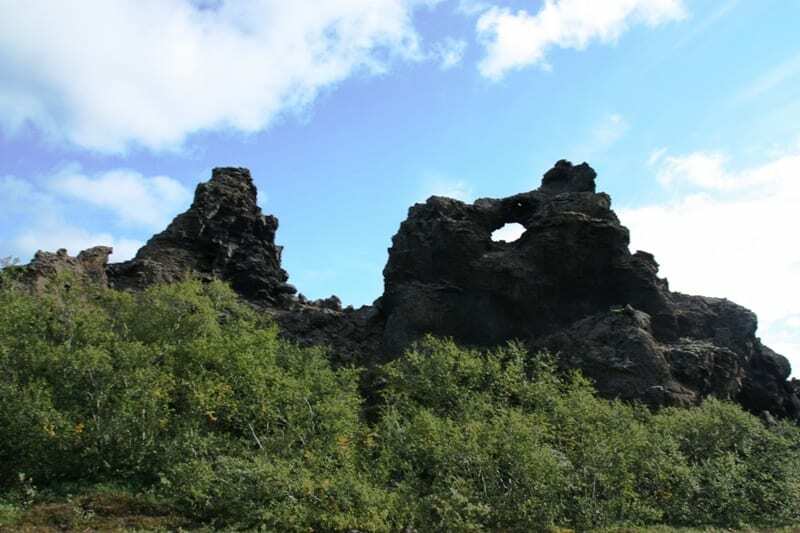 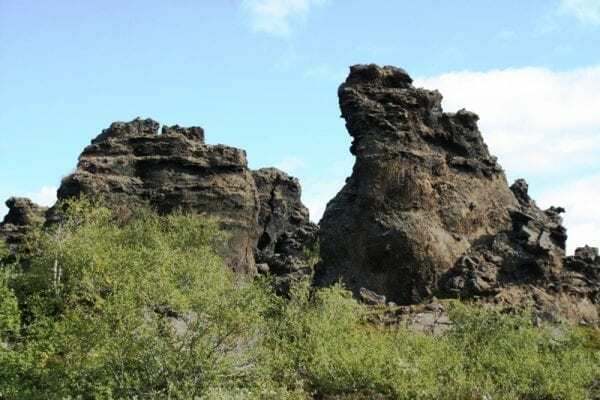 From the pseudocraters, we drive along the South side of the lake to see the fascinating lava formations of Dimmuborgir. 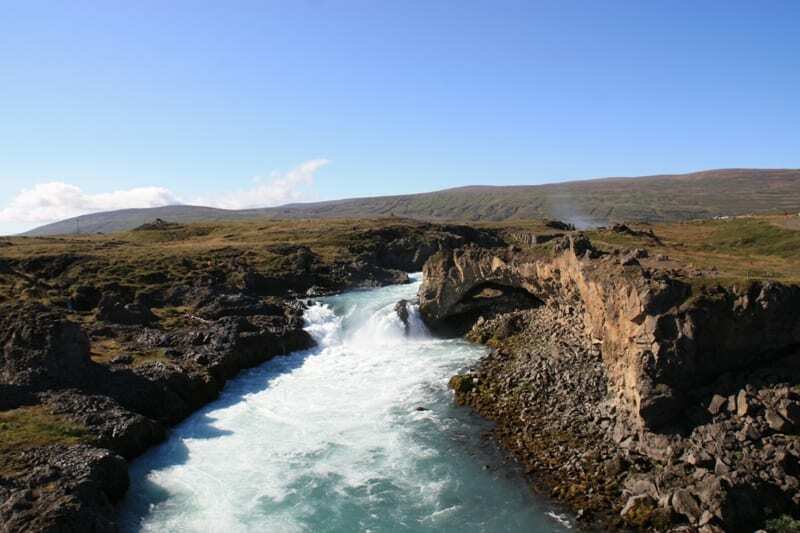 Our next port of call will be Grjotagja, a fissure with underground warm water caves. 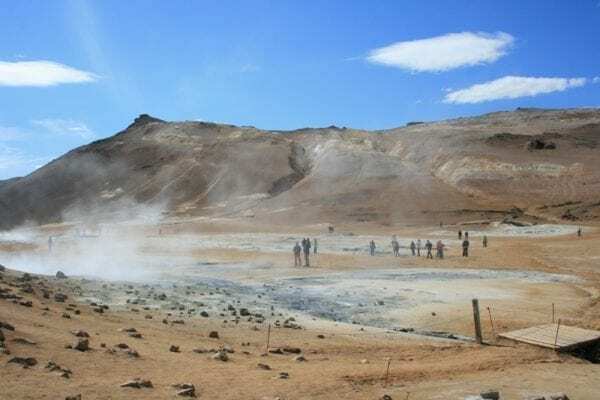 They were a favourite bathing place until the water became too hot as a result of the Krafla fires in the 1970s. 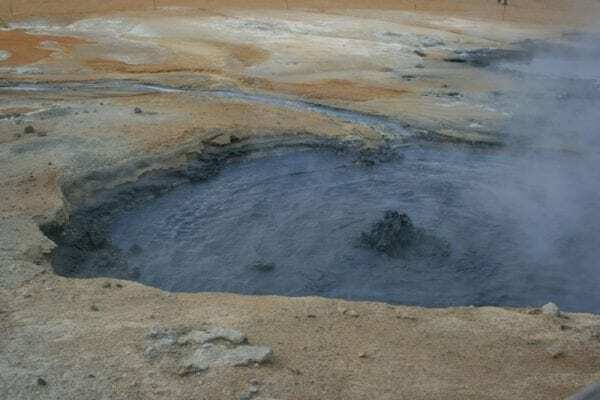 We proceed to the Hverir solfataras (boiling sulphur mud pits) at Námaskarð, these being some of the most spectacular in the country. 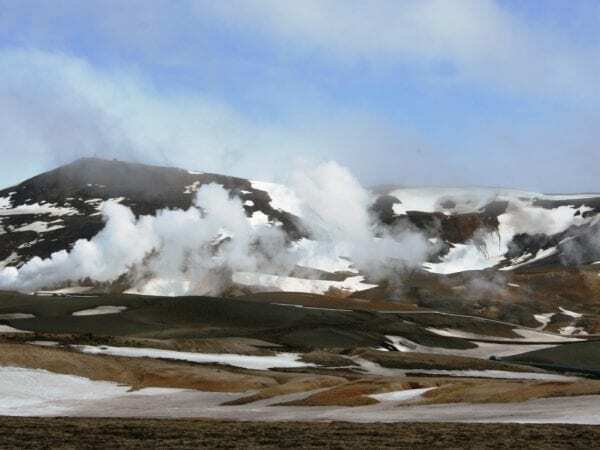 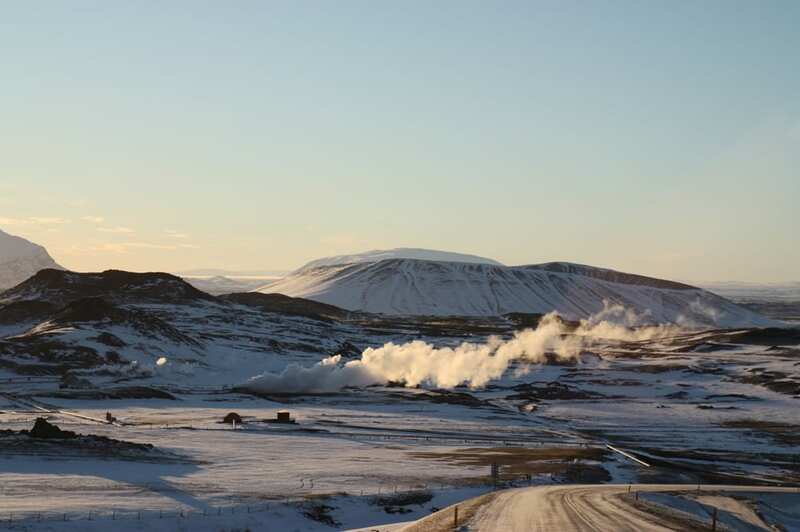 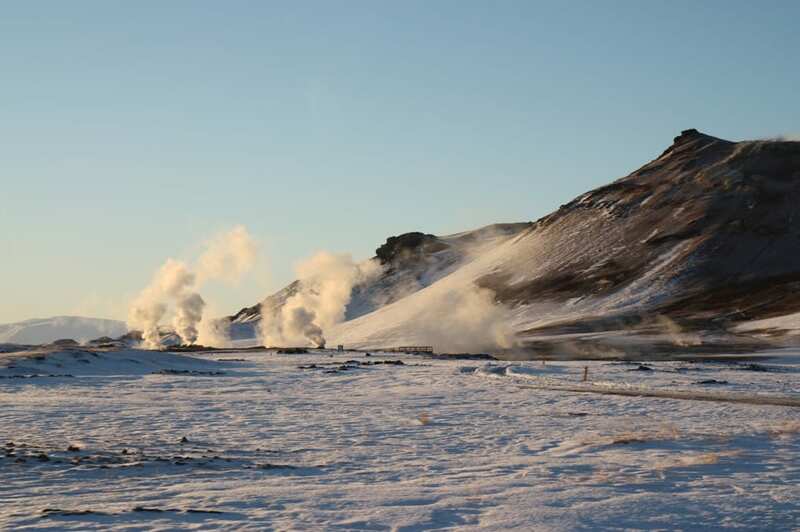 Then we drive up to the volcano Krafla and the explosion crater Víti, formed in 1724 by an enormous explosion of steam. 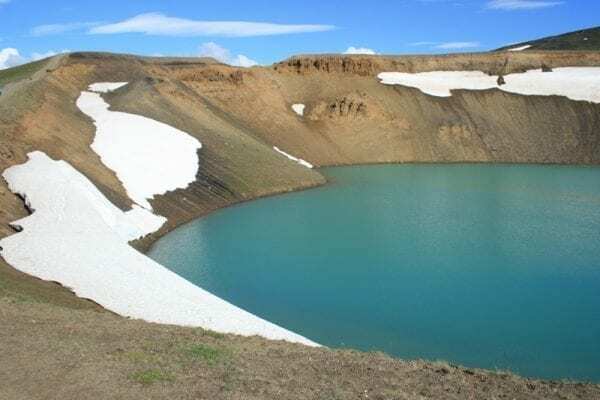 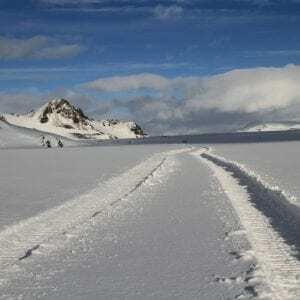 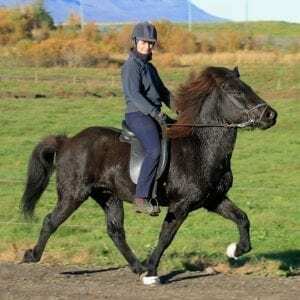 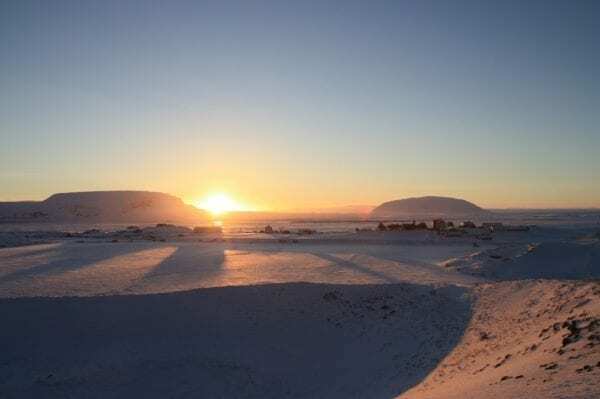 From the brim of Víti we can view the craters formed between 1975 and 1984, the most recent in the area, and in clear weather, the Vatnajökull glacier appears to be within easy reach although more than 100 km away. Upon returning to the airport in Akureyri, you will catch your flight back to Reykjavík (45mins). 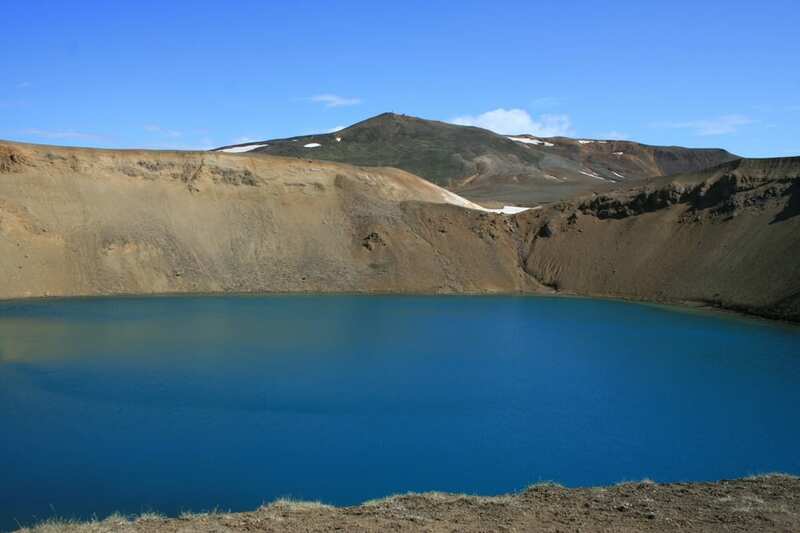 – flights Reykjavík-Akureyri-Reykjavík and all taxes. 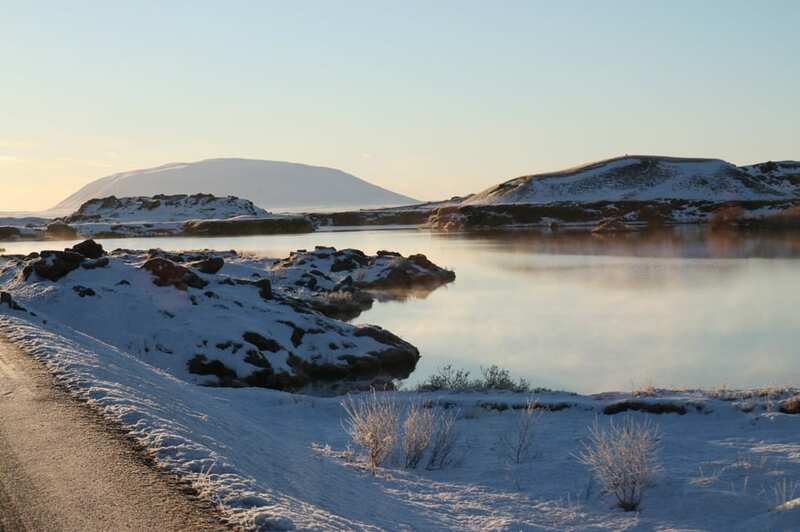 The itinerary may have to be adapted to accommodate different weather/road conditions in winter/spring time.